Classic FM is sponsoring the ‘Best Classical Music Education Initiative Award’ category at the 2017 Music Teacher Awards for Excellence - and we want YOU to choose the winner. The Music Teacher Awards for Excellence will return on 9 February 2017, in a fabulous black-tie gala dinner and ceremony at the Sheraton, Park Lane. Established to celebrate excellence in music and performing arts education, the awards will be presented in 13 categories, from new products and resources to hubs, music departments and individual contributions to the sector. The Best Classical Music Education Initiative category is sponsored by Classic FM and open to a public vote. Have a look at the nominees below and then scroll down to vote for the one you think is the most deserving. Apollo Music Projects transforms the lives of disadvantaged children through the magic of live classical music. 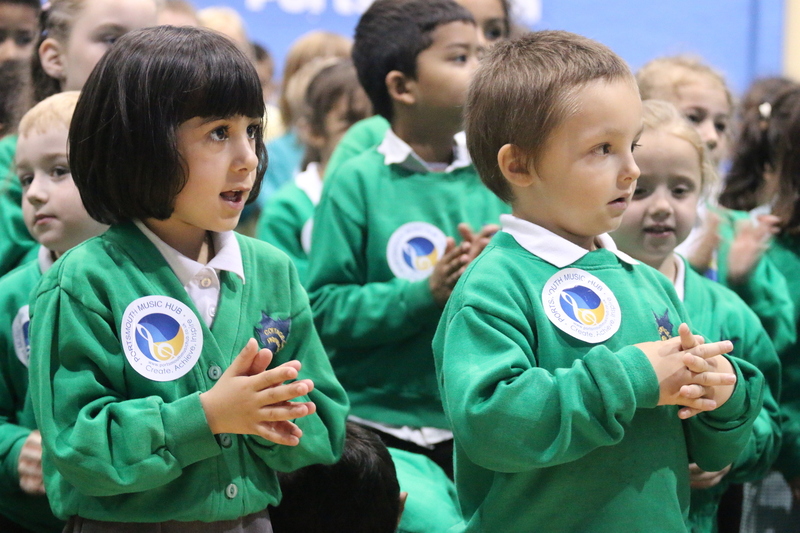 The project works closely with children in interactive workshops and includes a wide range of live music and active participation; develops key, transferable skills that have benefits across the curriculum – concentration, communication, listening, analysis, descriptive skills and self-confidence; and gives children the chance to experience high-quality performances in the classroom and concert hall, developing musical knowledge and inspiring children to learn an instrument. The programme takes the form of a residency in each school. Over two terms, the musicians gradually introduce the different members of the orchestra, starting with small groups including a string quartet, brass ensemble and woodwind quartet. At the halfway point of the programme there is a series of chamber orchestra workshops, each attended by three or four schools. This is a chance for the children to engage in music on a larger scale, to meet musicians up close and to learn about the ways in which the different instruments of the orchestra interact and join together to make music. The programme concludes with a spectacular symphony orchestra concert featuring large-scale orchestral works using the full range of instruments. Since 2004, over 7,500 underprivileged children from primary and special schools in deprived parts of London have benefited from their programmes. The Year of... is a large-scale performance project that involves up to 3,000 children in maintained schools of all types (Primary, Secondary & SEND) annually, in hard to reach areas in Somerset. Every year it focuses on a different classical orchestral group of instruments and/ or chamber ensemble. So far there has been The Year of the String Quartet with the Carducci String Quartet, The Year of Guitar with the Eden Stell Guitar Duo, Year of Percussion with Joby Burgess and the Year of the Reed with The Gelachter Wind Trio. The Year of Recorder and The Year of Brass are scheduled for the next two years. These eminent and celebrated professional musicians go in to between 12-15 schools (different schools annually) and do workshops with the whole school followed by rehearsals to work on pieces with the school’s instrumentalists (of all abilities and on a wide range of instruments). These pieces are then performed alongside the other schools and the pro musicians as part of a huge finale concert which also features showcase performances by the professional musicians, typically to audiences who have none of very little experience of hearing live classical music. The project aims to support the Government’s flagship programme of WCET by inspiring take up and encouraging continued playing of orchestral instruments. The Belfast Opera was a 15-month long cross-city project to create a new professional opera inspired by Belfast’s past but telling a contemporary story. 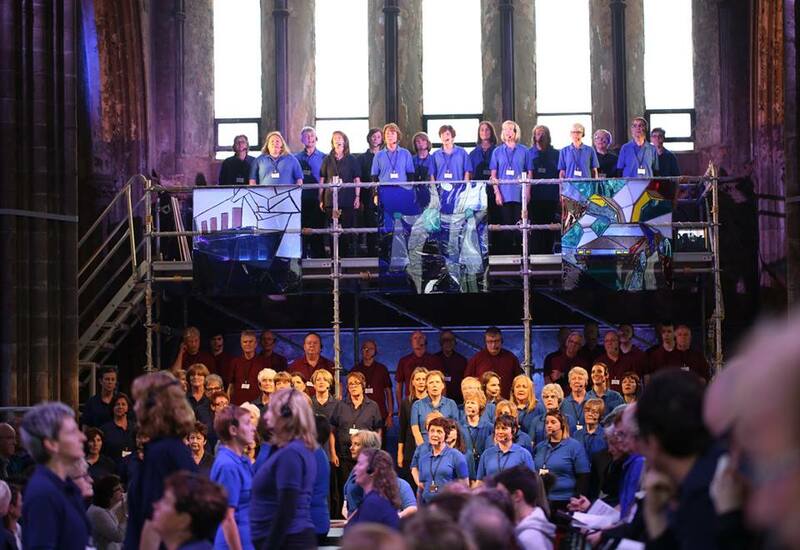 Over three phases of exploring, singing, and creating, Belfast’s people were asked to contribute stories, to sing in the World Premiere, and to volunteer for the technical aspects of the production. International quality artists were involved throughout: the score was written by internationally acclaimed Neil Martin and the libretto by award-winning Glenn Patterson. David Brophy, formerly Conductor of the RTÉ Concert Orchestra, was Musical Director alongside Conor Hanratty as Artistic Director. 180 people participated in 28 community workshops to gather content for the opera. 128 students, aged 14-16, participated in a series of schools workshops with a professional opera singer to ‘de-bunk’ opera. 101 people, only 9 of whom could read music, formed a unique community chorus and sang alongside an internationally recognised professional cast; Bruno Caproni was the opera's lead. The chorus was open to all, there were no auditions, and involved people from all parts of the city. Ages ranged from 16 to 80. A special Community Creatives programme involved fifteen 16-24 year olds with a range of social needs in the technical production aspects: make-up, set build, and volunteering as front-of-house personnel for the three performances. The World Premiere Performances were in the Trust owned Carlisle Memorial Church in June 2016, marking its return to major public use for the first time since 1980. Between 2015-16 over eleven thousand children and young people in Portsmouth benefited from Live Music Portsmouth. “Live Music Portsmouth” aims to inspire and enable young people to participate in classical music and to expand their knowledge, understanding, appreciation and participation as players and singers keeping classical music alive and flourishing in the city. 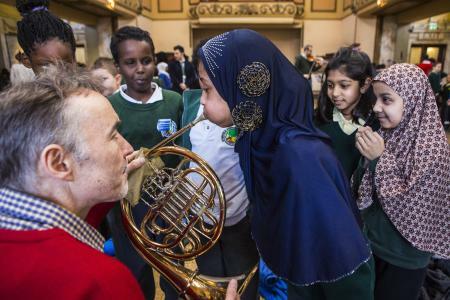 The programme takes classical music to many children from socially disadvantaged backgrounds by providing live recitals and performances from professional musicians performing in a wide variety of ensembles in schools, local communities and central professional concert venues. Children perform with and for professional musicians, interacting with them in concerts and playing alongside them in workshops, festivals and special performances. From the Bournemouth Symphony Orchestra, to the Band of Her Majesty’s Royal Marines School of Music, International virtuosos pianist, Warren Mailley-Smith, Jazz bands, Steel Pans and all manner of professional musicians, thousands of Portsmouth’s young people have benefitted from this dynamic demonstration of partnership in practice. Many of the parents in the city do not have the financial resources or the inclination to take their children to concerts and the Hub believes that the programme is central to enriching the lives of children and young people in the city. 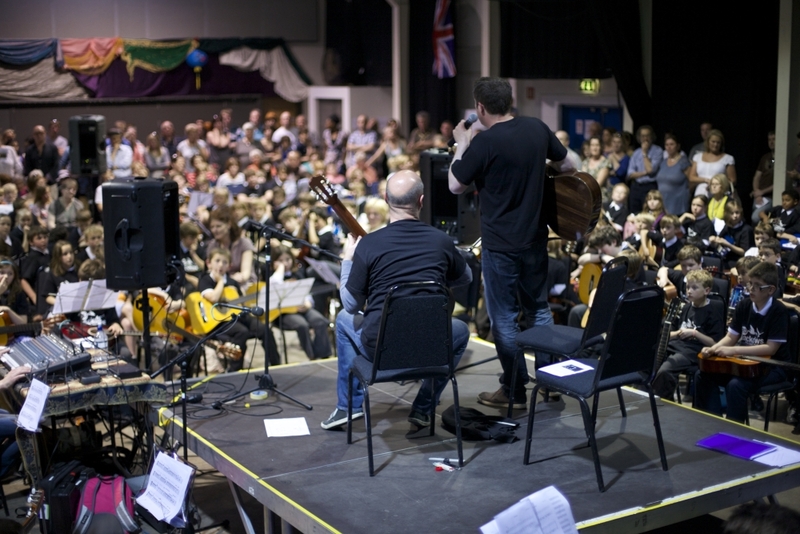 A unique collaborative orchestral music education project led by students from Cockermouth School, FLAME - Fun Live Aspirational Musical Experience - reached over 75 schools and 2,100 children and 225 adults across north Cumbria in March 2016. 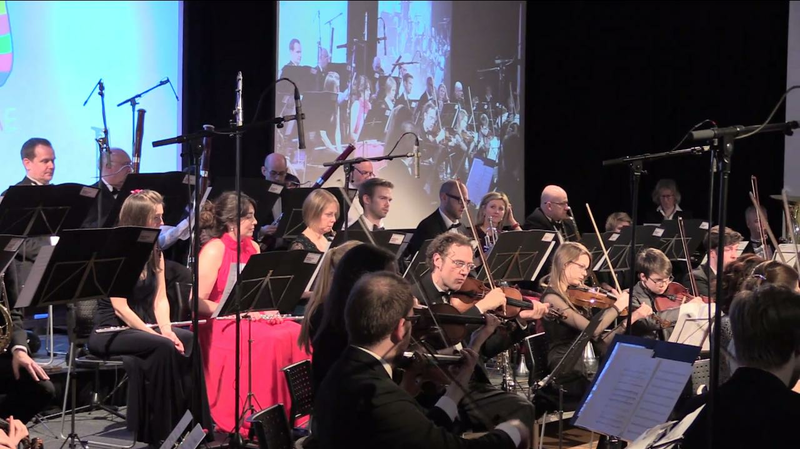 Working with Manchester Camerata and their musicians, 28 young people from Cockermouth School were given the leadership role in the creation, production and performance of four large-scale orchestral concerts. The young people selected the repertoire to be played at the concert, created a new piece of music that involved them composing, performing and leading audience participation as well as undertaking a range of activities associated with producing a professional concert including all the technical, digital, promotional and front of house aspects. They also produced a series of short films, with the help of a professional actor and a film-maker, which accompanied each piece of music at the concert. By giving young people responsibility for producing and presenting their own orchestral concerts for their peers not only did the young people in the audience have a great time, those involved developed a broad range of skills, increase their confidence and raised music learning and career aspirations. 17 young people achieved Arts Award Bronze and a further 220 received the Discover Award through the support of Rosehill Theatre.